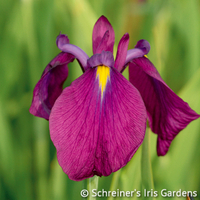 Today's Japanese Iris descend from varieties first introduced centuries ago in ancient Japan. They require a slightly acidic soil and present some of the most spectacular flowers of all the Irises. They bloom about a month after the Tall Bearded Iris.